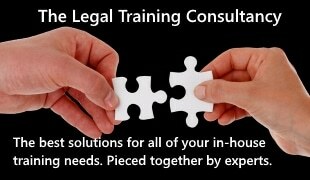 Best Practice Online has added two new marketing tools to its LegalRSS.co.uk system which will help law firms to market themselves more efficiently and at lower cost. The first is the integration of LegalRSS with the social networking capabilities with Bufferapp, which permits management of multiple social media accounts, scheduling of social media output and many other features. The application will allow firms to very quickly carry out social networking functions that may be time consuming or they may be outsourcing at substantial cost. In addition it provides data analytics. The second allows firms to select with a single mouse click what enewsletters to offer subscribers, allowing segmentation of the subscriber groups and targeting of communications. The subscriber selects the titles offered. With inboxes swamped with input, supplying only material which is relevant and interesting to the client is a key benefit, providing higher open rates, lower unsubscribe rates and more, and better qualified enquiries. Combined with the incredible speed of content selection and distribution our system offers, this will be a massive boost for firms. No longer need a firm spend hundreds of pounds outsourcing enews distribution or spend hours creating and sending enewsletters. Now, targeted enewsletters can be sent with relevant content to a specific user group in seconds, and subscription management is fully automated. ‘Even for firms that do not wish to use our content, our platform offers the possibility to save many thousands of pounds annually for firms using enewsletters, social networking or mobile websites in their internet marketing strategies’, says BPO MD Joe Reevy. The same functionality has been added to barristerss.co.uk, MyInfonet.com and financialrss.co.uk (which launches in March 2014).